This album is filled with electrifying tracks and skilful musicianship. Once More ‘Round the Sun can start to feel repetitive at times, as some songs are pretty formulaic. Mastodon’s sixth album has so far received fairly positive reviews. It marks a return to the high-concept attitude that lay behind greats like 2002’s Remission. This has both good and bad sides, as at times the album can retreat into fantasy just as you start to hope for depth. However, fans of prog-metal and Mastodon in general will love it. Once More ‘Round the Sun opens with the somewhat melodic “Tread Lightly”, which balances dark lyrics with soaring guitar, infectiously rhythmic drums, and relentless bass. It’s a great way to start off the album. “The Motherload” crashes in next, with rapid-fire drums and slightly softer lead vocals from Brann Dailor. This one has single potential; it combines electrifying riffs with anguished storytelling in a way that evokes Coheed and Cambria’s third album. The album’s debut single, “High Road”, is the third track on the album. It builds a little more slowly before segueing into grinding bass, crashing cymbals, and Troy Sanders’ intimidating, intense lead vocals. This song feels almost overwhelming, in a very good way, and its chorus will stay in your head for days. Title track “Once More ‘Round the Sun” tears into the idea of continual repetition, particularly when it comes to love, with prog-rock classic riffs and bass that will make you tremble. “Chimes at Midnight” moves into more contemplative territory with soaring guitar, before the ever-present riffs and pounding drums start carrying the vocals along. The song is interesting, but by this point in the album it is hard not to wish for a little more depth as opposed to mythic storytelling. “Asleep in the Deep” initially appears to grant that wish; it is more melodic, and the lyrics take a fantastical angle on tackling fear and pain. It’s a pleasant shift in tone. “Feast Your Eyes” returns to high-concept lyrics and prog rock riffs, but it is impossible to object as the song’s electrifying pace and furious drums keep the album’s momentum rapid. “Aunt Lisa” is riff-heavy, with sparkling guitar and engaging vocals from The Coathangers. The song is a tribute to Dailor’s aunt following her passing, and it’s hard not to be drawn in. “Ember City” continues the album’s pounding journey, with a very similar sound to most of the album’s other tracks. It’s still a good metal song, but even the passion of Sanders and Dailor’s vocals cannot make it a standout piece. The record’s penultimate track, “Halloween”, opens with more skilful riffs before exploding into mayhem. The vocals hold everything together as the drums and bass build to almost unbearable intensity. Finally, the longest track on the album is “Diamond in the Witch House”. Here, things descend fully into conceptual territory, but the richness of the guitars and relentless drums keep things exciting; devoted Mastodon fans will love this one in particular. Overall, “Once More ‘Round the Sun” has some fantastic pieces of metal, and even moves into more mainstream, Foo Fighters-style areas at times (which makes sense, as former Foo Fighters producer Nick Raskulinecz worked on it). 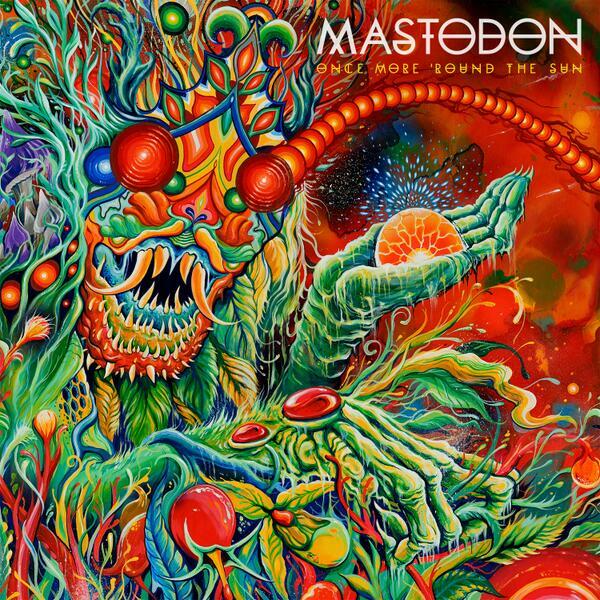 At times it can start to feel like Mastodon by numbers, but the average tracks are ably compensated for by gems like “The Motherload” and “Aunt Lisa”. 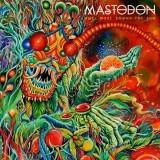 This album will be a hit with Mastodon fans and anyone new to the metal world. Find the most competitive price for ‘Once More ‘Round the Sun’ in the table below. If viewing from a mobile device please click on + to get more information.